Mueller's Paul Manafort indictments were prosecutorial masterpieces. Trump should be worried. By requiring Manafort to admit to all of the facts in both cases, the conviction is essentially “pardon proof." If there was ever any concern about the ability, professionalism or direction of Robert Mueller’s special counsel team, Paul Manafort’s guilty plea erases all such doubt. The Manafort prosecution is a textbook example of how a prosecutor, using all available investigative tools, can build a case against a secret conspiracy by identifying a key suspect and then forcing him to give up his criminal confederates, casting an ever wider and tighter net. The speed at which this task is being accomplished is remarkable. Mueller was appointed special counsel on May 17, 2017, and almost immediately zeroed in on Manafort, Trump’s former campaign manager. Based on even publicly available information, Manafort appeared to be the most likely Trump campaign official with close ties to the Russians. We have no idea what information was available to Mueller at the start of his investigation — all we know is that Mueller knew what he was doing when he went after Manafort. For one thing, Manafort was financially connected to Russian interests as a highly paid consultant working to prop up Moscow’s puppet regime in Ukraine. As Trump’s campaign manager, he was also responsible for overseeing the Republican platform committee at the GOP convention that refused to recommend additional Russian sanctions in response to its annexation of Crimea. Additionally, prior to and after the Democratic Convention, the Trump campaign constantly referenced the documents hacked from the Democratic National Committee. We have no idea what information was available to Mueller at the start of his investigation — from national security wiretaps or other source information gathered by intelligence agencies — all we know is that Mueller knew what he was doing when he went after Manafort. At this stage in the Mueller investigation, it is instructional to compare the Manafort plea and cooperation agreement to the Watergate prosecution, during which I served as an assistant special Watergate prosecutor. Mueller has already accomplished something that was not done in the Watergate investigation: He has flipped two major figures close to the president — Manafort and former National Security Adviser Michael Flynn. There was no cooperating witness comparable in Watergate who was as close to President Richard Nixon as Flynn and Manafort were to Trump. John Dean had the title of counsel to the president, but he was not one of Nixon’s close insiders. A prosecutor’s goal is to build a case that can be proven beyond a reasonable doubt. The Mueller team took this responsibility seriously. Over the span of approximately 10 months, using subpoenas, search warrants and FBI interviews of knowledgable witnesses, Mueller’s prosecutors presented evidence to a grand jury, which handed down a massive indictment in the District of Columbia charging both Manafort and his associate Rick Gates with serious federal crimes. Four months later, in February 2018, a grand jury in Virginia charged Manafort and Gates with tax and bank fraud. Both indictments were prosecutorial masterpieces. They were built almost entirely on documentary evidence that the defense could not cross-examine like it could live witnesses. The indictments also anticipated every conceivable defense that Manafort’s lawyers might raise at trial. Manafort could not argue he had relied on the advice of counsel or accountants because both indictments charged him with lying to his lawyers and accountants. Shortly after the announcement of the Virginia indictment, Gates agreed to cooperate. In August, a Virginia jury convicted Manafort of 8 of the 18 counts, and the Mueller team moved aggressively ahead to try the second case in DC. On September 14, 2018, Manafort officially raised the white flag of surrender, pleading guilty and agreeing to cooperate. Remarkably, this happened only one year and four months after Mueller had been appointed — a relatively short time for a complex white collar prosecution. This was an unconditional surrender. Manafort admitted to all of the facts underlying the charges in both the Virginia and District of Columbia indictments, including the charges upon which the Virginia jury could not agree. Manafort is subject to a maximum term of imprisonment of over 20 years and has agreed to forfeit millions of dollars worth of property that were the fruits of his criminal activity. His only escape valve to avoid what could amount to an effective life sentence is to cooperate fully on everything he knows, including what he knows about Trump. The more he cooperates and the more information he provides, the better his chances of a lower sentence. Perhaps most significantly, Mueller flipped Manafort, a key Trump confidante, who may also be able to provide significant testimony on the Trump campaign’s involvement with the Russians. Consistent with Department of Justice policy, nothing in the plea or cooperation agreements hint at what this testimony might be. There are, however, a number of tantalizing clues that lead directly to Russia. The superseding information to which Manafort pled guilty charges him with conspiring with Konstatin Kilimnik, a reputed Russian intelligence operative, on almost every crime charged in the two indictments including attempts to intimidate or influence witnesses who were potential witnesses against Manafort. Manafort and Kilimnik are connected to the Trump campaign via Alex van der Zwaan, who in his own guilty plea earlier this year admitted to having a conversation with Kilimnik at the urging of Rick Gates in September 2016. That conversation, according to court papers, was tape recorded. Assuming he is now in possession of the tape, Mueller may use it to clarify issues such as Kilimnik’s role in the campaign, Roger Stone’s role with Guciffer 2.0 and Wikileaks as well as the facts surrounding the infamous June 9, 2016 meeting at Trump Tower. I’ve been a criminal lawyer, both as, a prosecutor and criminal defense lawyer, for over four decades. Manafort’s “Superseding Criminal Information” sets forth the longest recitation of facts I have ever seen admitted to in a guilty plea — dozens of pages plus attached exhibits. In that document, Manafort admitted to every fact the government has alleged in both the District of Columbia and Virginia prosecutions. When Manafort’s testimony is combined with the additional testimony of Flynn, Cohen and Gates, it appears that Mueller is quite likely on the verge of handing down new major indictments. These indictments could very well answer the ultimate question of what Trump knew and when he knew it. To learn more about Akerman's decades-long prosecutorial career and his work on the Watergate case, listen to his conversation with Chris Hayes on this episode of "Why Is This Happening?" Nick Akerman is a nationally renowned lawyer and partner at Dorsey and Whitney. 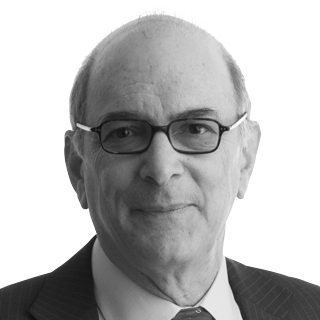 Prior to private practice, Akerman served as an assistant United States attorney in the Southern District of New York and assistant special Watergate prosecutor with the Watergate Special Prosecution Force under Archibald Cox and Leon Jaworski. He is an MSNBC legal analyst.